I want to sincerely appreciate Ekiti people for their resilience and love for me. I am formally dedicating this victory to God and to them. Having voted for me ten months ago, and confirming the victory by the subsequent elections in the last few weeks, they have shown that they are unequivocal about their choice and their determination to protect and defend that mandate. I cannot but appreciate the Apex Court for protecting democracy and also for living to the expectation of the Chief Justice of Nigeria, Hon. Justice Mahmud Mohammed, who had assured that under his leadership, the judiciary would not subscribe to any plot to change the outcome of elections through the instrumentality of the Court. I think the necessary lessons must have been learnt and it is obvious that Nigeria is evolving democratically. To my opponents, I plead with you to sheath your sword and join me in the development of Ekiti State. If truly our struggle is about service to our dear State, it is time to come together and channel all our resources towards the development of the State. I am irrevocably committed to the protection of all, including the opposition in the State. Nobody is infallible, and I am not a perfect being. The only one that is perfect is God, but He, in His infinite mercies has made me the Governor of Ekiti State today. I have a term and tenure; there will be another opportunity for Ekiti people to decide who governs them. Rather than trouble the peace of the State, our friends in the opposition parties should accept the will of God concerning our dear State and wait till 2018. I thank all stakeholders and I am assuring them that I will leave Ekiti State better than I met it. My special appreciation also goes to the security agencies for being alive to their responsibilities. 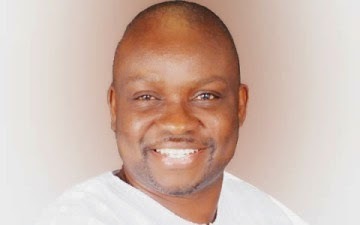 May the Almighty God continue to bless Ekiti State.